Drive in, Fly in, or Boat in! 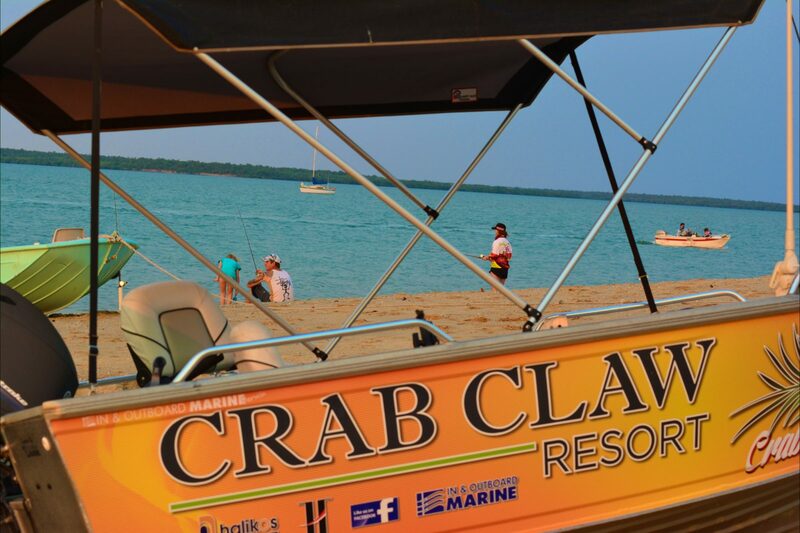 A little over an hour’s drive from Darwin, Crab Claw Island Resort is a picturesque coastal retreat nestled on the water’s edge which provides the perfect balance of family friendly fun, fishing and relaxation. Our newly refurbished 24 hour air-conditioned cabins are affordable, comfortable, can accommodate between four to six people and are perfect for singles, couples, groups and families alike. We also have 19 shaded and semi-shaded powered camp sites set 75metres from the water’s edge. BBQs, an amenities block and laundry is located close to the camp sites. 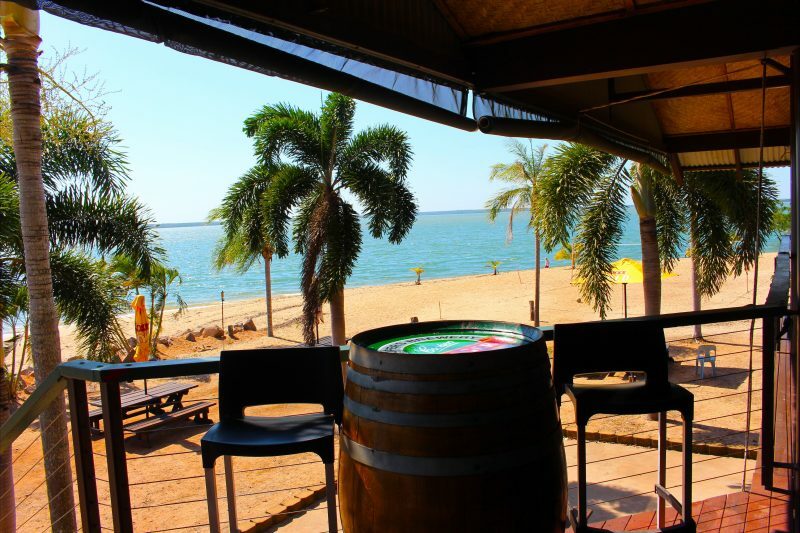 Crab Claw Island Resort’s Breezes restaurant includes a well-stocked licenced bar with panoramic views and fresh ocean breezes. We are open for breakfast, lunch and dinner, and welcome resort guests as well as those just visiting for the day. No boat, no worries! You can hire one of our four new Quintex Renegades which are available for full day or half day hire. 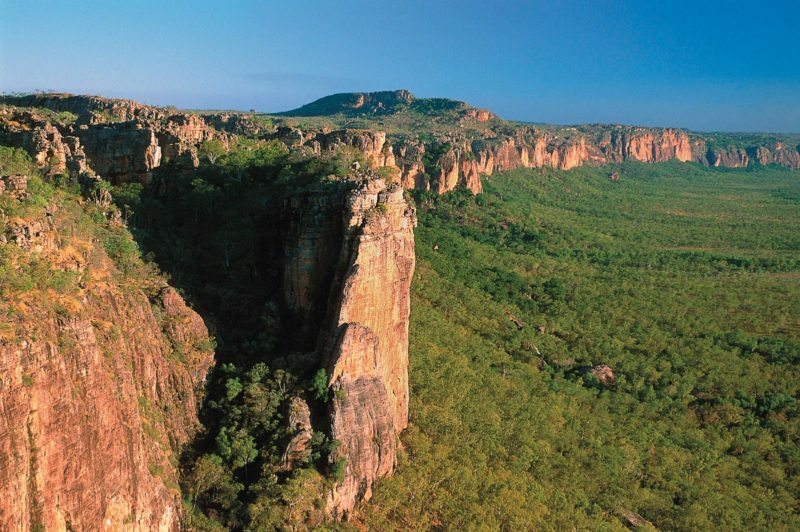 Explore one-of-a-kind unspoilt natural beauty and enjoy a little piece of Top End paradise! We have 12 elevated beach-front cabins that overlook our pristine white sandy beach. These cabins share a balcony with the cabin next door and are fitted with a double and two single beds, a small refrigerator, air-conditioner, ceiling fan and en-suite bathroom. We have 4 elevated family cabins that are set slightly back from the beach on the main boardwalk. These cabins are twice the size of our beach-front cabins and have their own balcony. They are fitted with a double and four single beds, a refrigerator, table and chairs, air-conditioner, ceiling fan and en-suite bathroom. We have 5 elevated stand alone cabins nestled in our palm garden. These cabins have their own balcony looking through the palms to the swimming pool. Each cabin is fitted with a double and two single beds, a small refrigerator, air-conditioner, ceiling fan and en-suite bathroom. Situated in our palm tree garden, each site is separated by a row of trees which also provide nice shady spots. Each site is powered and there are water points around the grounds for customer use. House Villa with two rooms, 1 double and 2 singles in each. Unrestricted Harbour Views private and secluded. Crab Claw Island Resort offers a variety of accommodation options with something to suit every budget!